It was a Tuesday and the ground was damp from a rain the night before. A little boy and his grandmother awoke early and began a journey from their small village in West Africa. He was on his way to kindergarten. The boy had started at another school, closer to his village. But it was shut down before he could begin his second week of school – the money just wasn’t there. And so began the educational journey of Richard Mensah, who grew up as a subsistence farm boy in a small village of about 80 people in the Central Region of Ghana, West Africa. “Grandmother never stepped a foot in a classroom, but she was the one who took me to kindergarten to write my name. I was almost six years old,” recalls Mensah. Day to day and year to year, it was never certain how long Mensah could continue to go to school. Ghana parents pay for their wards’ education from kindergarten to the end, he explained. The uncertain path between making it all the way through high school in rural Ghana to obtaining a Ph.D. from a major university would seem unfathomable to most. 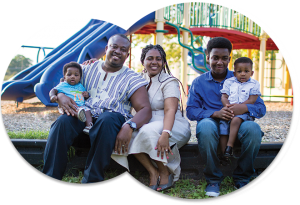 For Mensah, it will soon be a reality, stemming from a years-long undertaking, marked by starts and stops, financial struggle, unexpected blessings, perseverance, and hard work. He is poised to obtain his Ph.D. from the University of Kentucky College of Education by spring of 2016. Mensah first visited the U.S. while still in high school, after winning a school-wide competition. He traveled with his principal in spring 1993, and was hosted for six weeks by the Lindblom Technical High School in Chicago, IL. The value placed on education in Mensah’s childhood home has translated into a passion for his studies and a desire to share education with others. Mensah started teaching as soon as he finished high school. “I began to take care of myself financially and managed to remit my mother and grandmother some money at the end of the month to help care for my two siblings and a couple of cousins who lived with us in the house,” he said. While supporting himself as a teacher, Mensah got his bachelor’s degree in business education at the University of Cape Coast, Ghana. After college, he yearned to return to the United States to further his education. Between years of working and studying, he eventually obtained a master’s degree in public health at the University of Kentucky. But Mensah wasn’t quite finished. Once again, his heart was being called back to the place where his journey began – education. He worked for a year and went back to school. Mensah is now a doctoral candidate in the Interdisciplinary Ph.D. in Education Sciences program with a focus on measurement and evaluation. 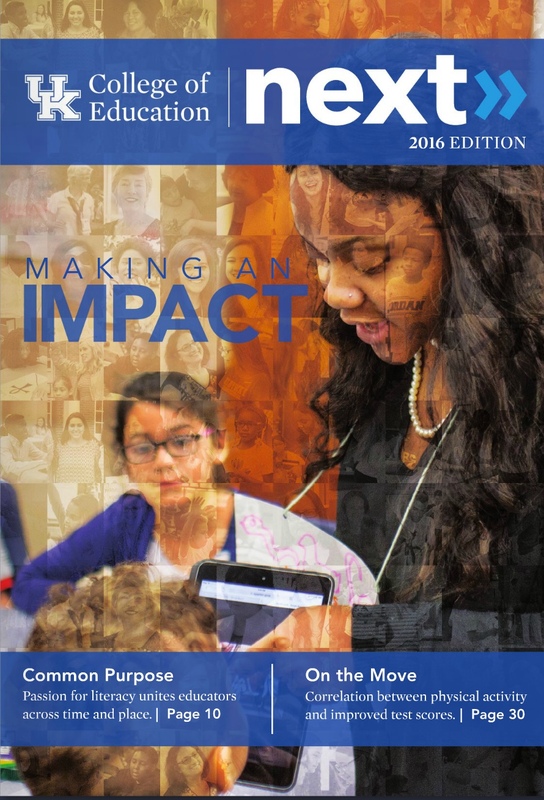 Graduates of the program are prepared to meet the growing national need for educators who are well trained in methodological issues in education research. Graduates typically have careers in research universities, educational research labs and corporations, and research groups within education agencies. Mensah hopes for a career as a faculty member or as a researcher in the field of test/survey development. Ultimately, he wants to make a difference in the lives of others, just as others have done for him. Bradley said Mensah is the gold star example of hard work and ambition equating to desired outcomes and success. 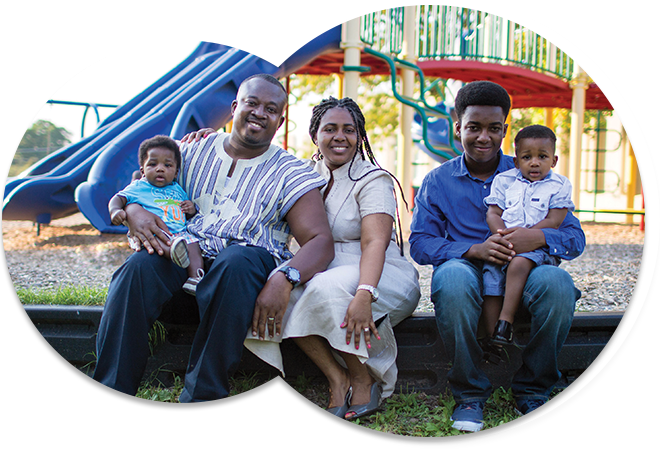 Mensah’s wife and son joined him in the U.S. in August 2012, shortly before he began the Ph.D. program. They have since added two more children to their family.